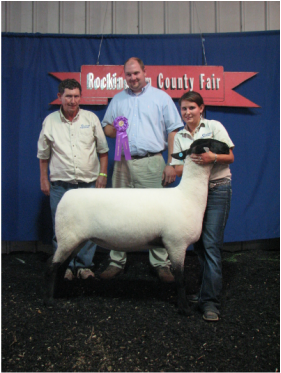 Credits are to be used the following year on the purchase of lambs! 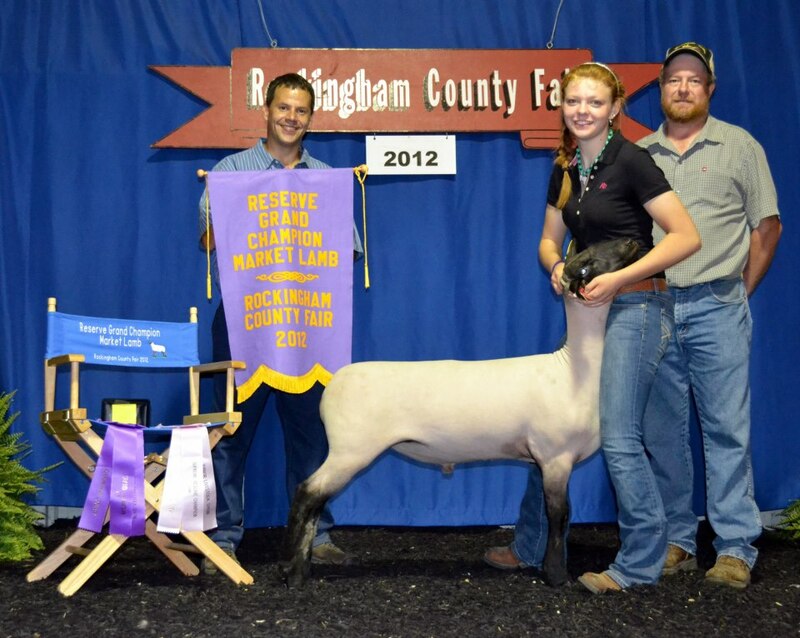 Thanks to all the 2011 Buyers!!!!! 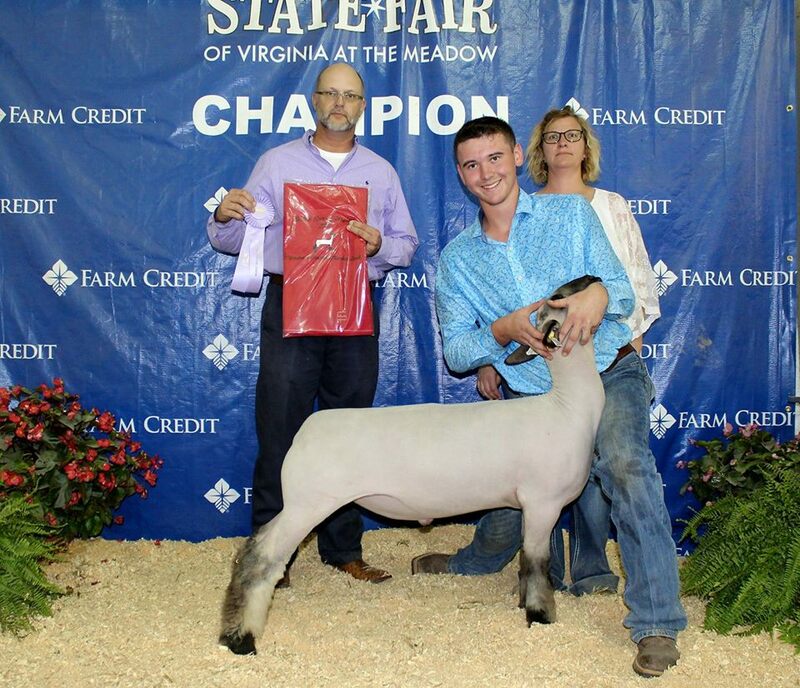 We had a very successful show at the Virginia State Fair this year. 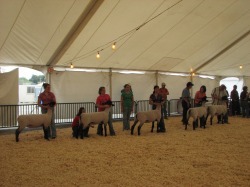 We took a purebred fitted Suffolk flock, a crossbred flock, and a commercial flock. 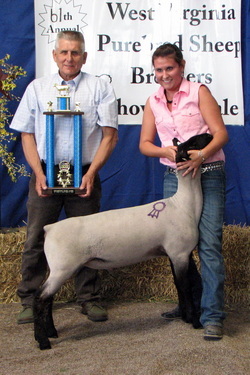 The picture to the left is of the Champion Ewe drive in the Commerical division. 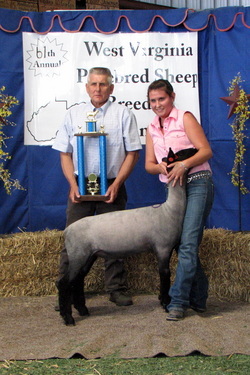 We had first place early and late yearling ewe as well as first place early and late ewe lamb. 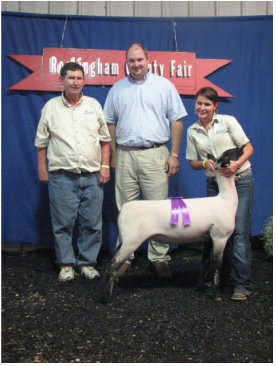 This year the Nesselrodt family invited us to travel down to Winston-Salem, NC with them to the Dixie Classic Fair. 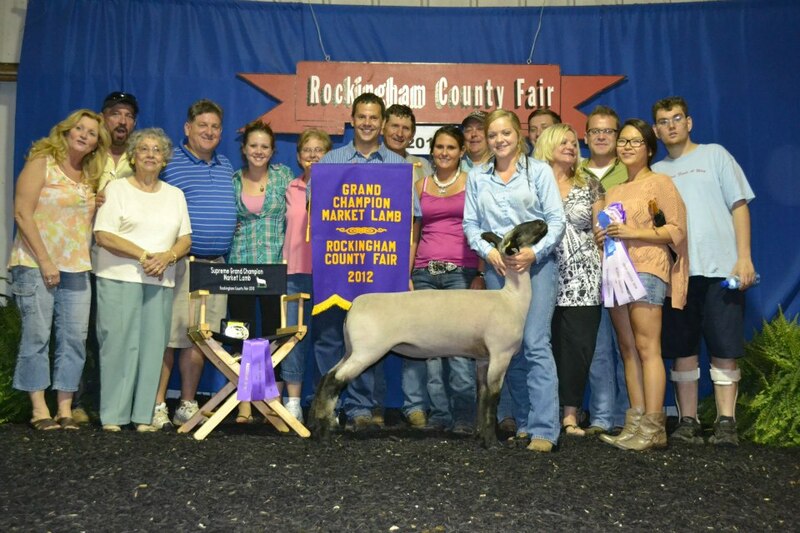 We had a great trip and enjoyed the company of everyone at the show. 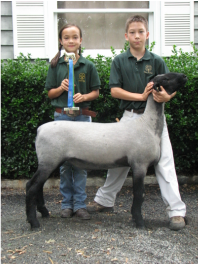 Our Early Spring Ram Lamb was Champion Ram and is pictured to the left. 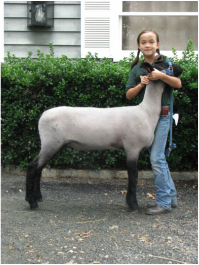 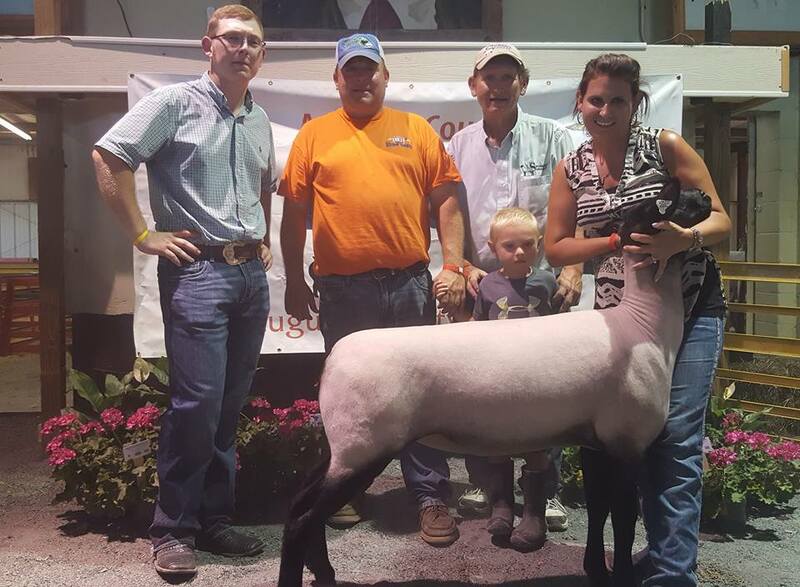 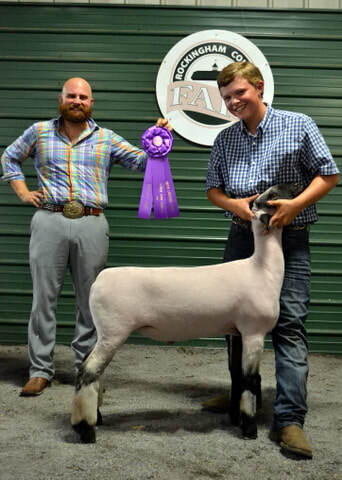 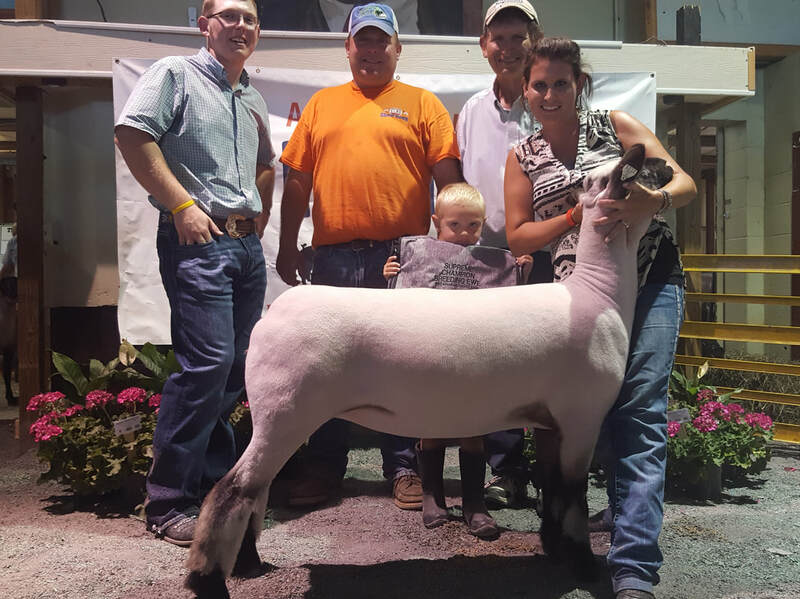 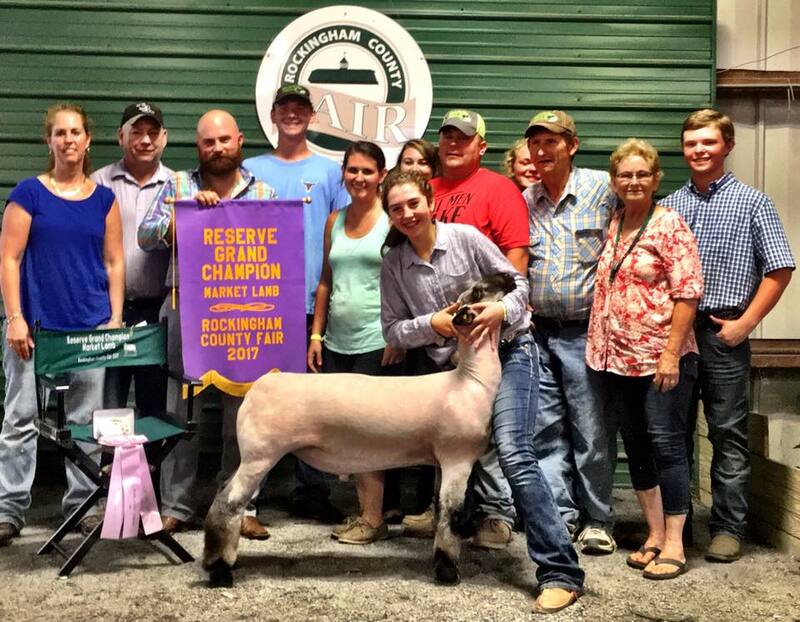 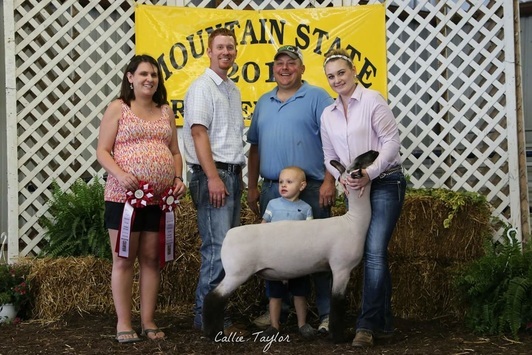 His twin brother was Division III Champion at the 2009 Augusta County Market Lamb Show exhibited by Emily Tutwiler. 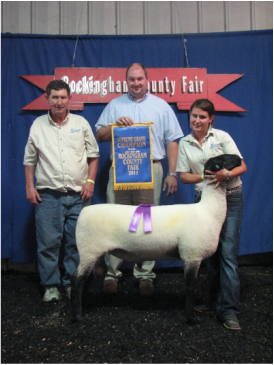 Thanks to Steve Ralston of Hightown, VA for purchasing Sponaugle 09-634A.